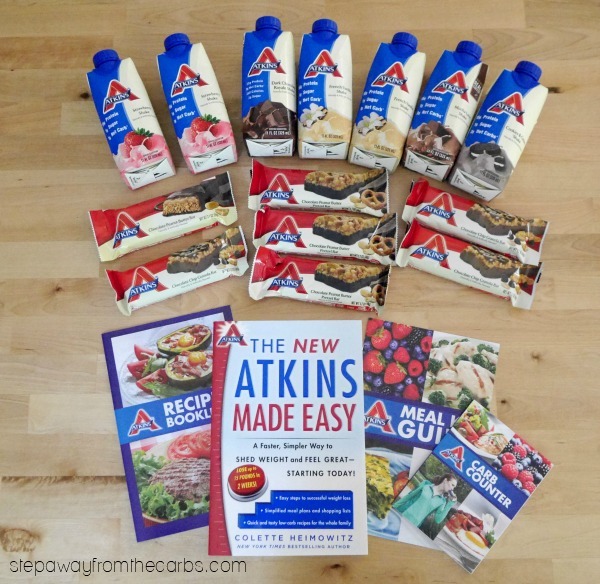 Introducing the Easy Peasy Meal Kits from Atkins Nutritionals! 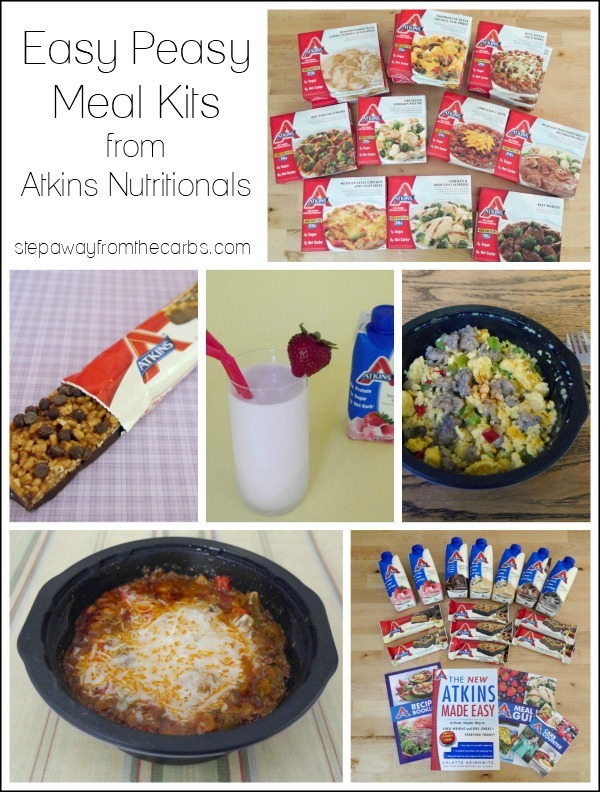 Have you seen the new meal kits from Atkins? Read all about them here! This is a sponsored post written by me on behalf of Atkins Nutritionals. All opinions are my own. Please see my disclosure policy. 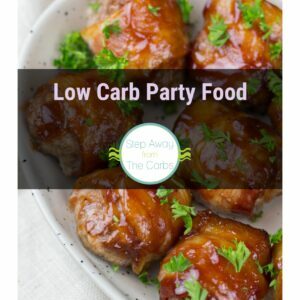 As you may recall from my round-up of Store-Bought Low Carb Snacks, I am a big fan of the meals, snacks and drinks made by Atkins Nutritionals. So I was delighted to try out one of their new meal kits: the Easy Peasy Meal Kit. They also offer the Evening Chef Meal Kit and the Frozen Foodie Meal Kit! All kits ship free and yes – they ship frozen food too! I don’t know about you, but I can’t always find a huge range of these frozen meals at my local stores. 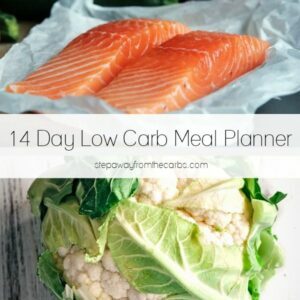 Some of these meals I had previously tried, and some I’d never seen before! This amazing kit means you save about $50, which is a great saving if you’re going to use them all and have previously been buying them individually. Also, you can schedule it to receive the kits weekly or monthly, plus you get 5% off any subsequent orders after your first meal kit purchase! So now you’ve seen what’s included, I want to highlight some of the individual products. 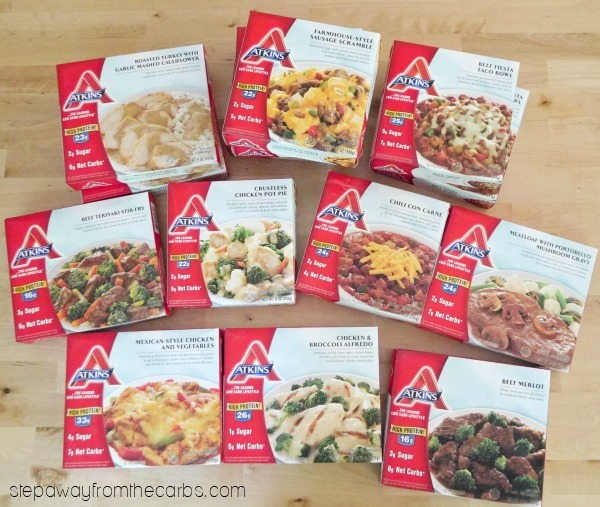 I’ve been enjoying Atkins frozen meals for many years! They are just perfect when I want a hot meal but I’m busy/don’t want to think too hard/don’t want a stack of dishes to deal with! The Scramble meals are great for breakfast and the other meals are ideal for lunch on my own at home. My personal favorites are Chicken & Broccoli Alfredo, Beef Fiesta Taco Bowl and the Mexican-Style Chicken and Vegetables. I often add black pepper, hot sauce, fresh herbs or extra cheese to increase my enjoyment. Now I know that I’m unusual, but I’m not actually a peanut fan. So the meal bar selection was a little peanut-heavy for my personal preference. However, my husband (who doesn’t low carb) is often on the lookout for protein bars post-workout, and was happy to try them out for me! I always have Atkins shakes in the fridge, but I’ve got stuck in a rut and only buy the Dark Chocolate Royale and French Vanilla – both of which taste SO good! Now I’m completely in love with the Cookies & Crème and Strawberry flavors, too! Oh and they actually don’t NEED to be refrigerated, so they are great for traveling and lunch on the go! Which of the Meal Kits from Atkins will you order? They are so useful, aren’t they? I love cooking, but sometimes there are just not enough hours in the day. It’s virtually impossible to find a ready meal in the supermarket that is not packed with added sugars and other nasties. These meals look like a great emergency option. Will definitely check them out! It’s nice to see all of the options available for those nights one doesn’t feel like cooking. I also like having a grab-n-go snack handy and the bars have “saved me” before. Thanks for the information. It is always good to have some pre-made options available. Especially when life gets crazy, and you don’t have time to cook. Great post.